TrueAxis physics wrapper Windows/Linux 32/64-bit. TrueAxis physics wrapper for FreeBASIC. Last edited by D.J.Peters on Sep 25, 2017 16:00, edited 13 times in total. First very simple test of class CarTemplate.
' we no longer need the collision box here.
' we no longer need the CarTemplate here. Last edited by D.J.Peters on Jun 15, 2016 9:14, edited 1 time in total. Last edited by D.J.Peters on Mar 11, 2015 5:21, edited 1 time in total. A lot of work, nice! Can you crash 2 cars? Maybe under a small angle to make the result more interesting? Last edited by D.J.Peters on Jul 19, 2014 14:11, edited 1 time in total. You are right it's more as an simple wrapper I modified the car class and added more stability. Last edited by D.J.Peters on Jul 19, 2014 14:12, edited 1 time in total. Last edited by D.J.Peters on Jul 20, 2014 7:35, edited 1 time in total. Last test of TrueAxis 32/64-bit Linux/Windows with FreeBASIC. Last edited by D.J.Peters on Jan 04, 2015 5:36, edited 1 time in total. 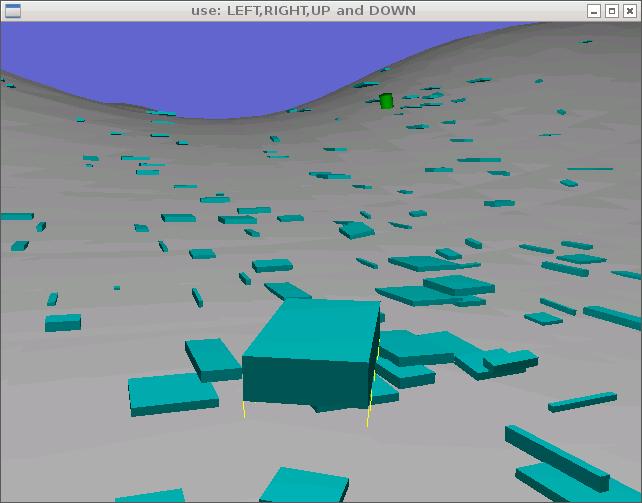 Are you using your own routines to load cars, and to build the terrain, or some 3d engine? You can download the lates version with round about 670 functions. Curently I build and test TrueAxis for FreeBasic Windows 64 bit, Linux_x86_64, ARM6 and ARM7. FreeBasic & TrueAxis (OpenGL) on raspberry pi arm cpu..
Last edited by D.J.Peters on Sep 25, 2017 16:01, edited 2 times in total.